With Christmas just a few days away, you may be thinking ahead and wondering where to celebrate New Year’s Eve in Brisbane? I have the answer below for you. Hamilton, there are lots of ways to celebrate, riverside, this New Year. South Bank’s fireworks will sound off twice – once at the family-friendly time of 8.30pm, and again at midnight. Guests will be treated to a magical evening under the Marquee’s sparking chandeliers with a New York inspired 5 hour food and beverage package including Cosmopolitan and Manhattan cocktail stations open all night, New York sweet and savoury food stalls, roving performers, live music, photo areas, and exclusive midnight fireworks over the Victoria Park Golf Course. General admission from $149pp and VIP packages are available. See more event details here. Prepare your passport and leave Brisbane behind as you enter the Regatta Hotel, for an entire ticketed event. With a 4hr premium beverage package starting from 8pm - 12am, enjoy the crème de la crème including Moet, cocktails, spirits, wine and 35 different beers. Best paired with canapes, gourmet food stations, live entertainment & more! Feeling rambunctious? Head straight to the Moulin Rouge located on Level 1 and don't look back! Enjoy endless Moet paired with a sinfully sweet Parisian dessert buffet & roving canapes. Enter the Parisian Courtyard on ground, and enjoy live entertainment, including a set from The Voice's Chris Sheehy, DJs & more! Peckish? Why not stop to sample a fresh baguette or a gourmet croissant in the Pop-Up Parisian Bistro. See more event details here. Say goodbye to 2017 and welcome in 2018 with one of the best views in Brisbane at Eagle Street Pier. With a variety of happenings plus fireworks throughout the evening, Eagle Street Pier has something to suit everyone. Enjoy a reserved table for up to six people at our new alfresco dining area located in the outdoor plaza and a $100 Eagle Street Pier gift card to use for food from our many fast & casual eateries. Your VIP table comes with incredible views across the Brisbane River and the 8.30pm and midnight fireworks. To enter, visit here. Competition closes 27/12/17, with five lucky winners being selected. 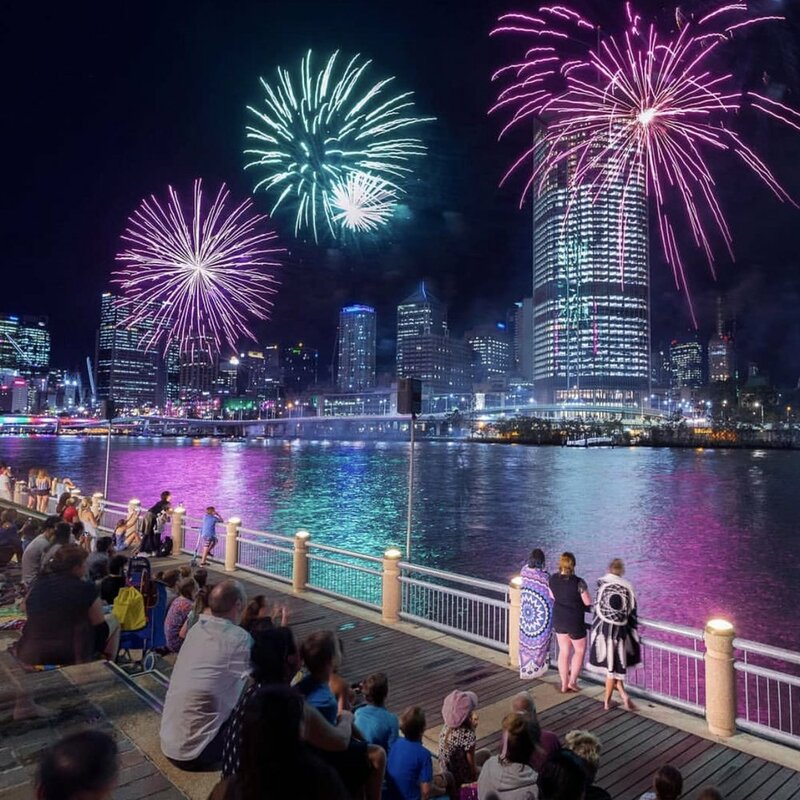 Bring in the new year with spectacular views of New Year’s Eve fireworks over the Brisbane River at Eagle Street Pier. Book in for one of the many offerings available at the precinct, or grab a bite to eat from one of the many fast & casual eateries and enjoy an evening of incredible sights with firework shows at 8.30pm and midnight. 2018 deserves to be welcomed with the utmost style, and the team at Aria have created an exceptional experience. Guests will be welcomed with a glass of Tattinger champagne before enjoying a sophisticated three-course menu (with five choices per course) for $165 per person, or $225 per person with matching wines. Bookings essential. Indulge on the River for the ultimate fine dining celebration to send out 2017. 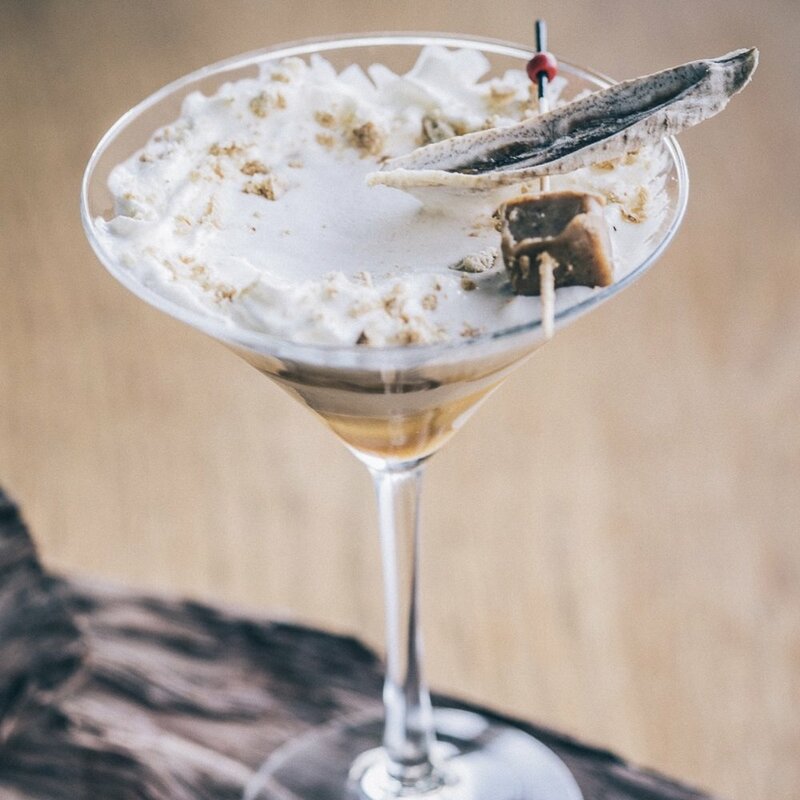 Enjoy all your favourite signature Saké dishes on the a la carte menu, as well as an extensive range of cocktails, saké and wine to welcome 2018 in style. Table sittings post 8.30pm will enjoy an amazing set menu for $150pp with a glass of champagne at midnight. In true Bavarian style, say ‘auf wiedersehen’ with one hell of a party. Get the crew together for Haus DJ’s, the beloved Bavarian menu chock full of schnitzels, strudels, snags & pork, steins, schnapps, & wine. Bookings are filling quickly, so get in fast. Join Jade Buddha & Shadow Lounge to bring in 2018 with a bang. Enjoy a food & drinks package including skewers & sliders, tap beer, house wine & sparking, plus Thai bucket cocktails for $89pp. Immerse yourself in Pony Dining’s secret garden themed cocktail party, including a selection of mouthwatering canapés, entertainment and a continuous five-hour beverage package from 7.30pm for $169pp. 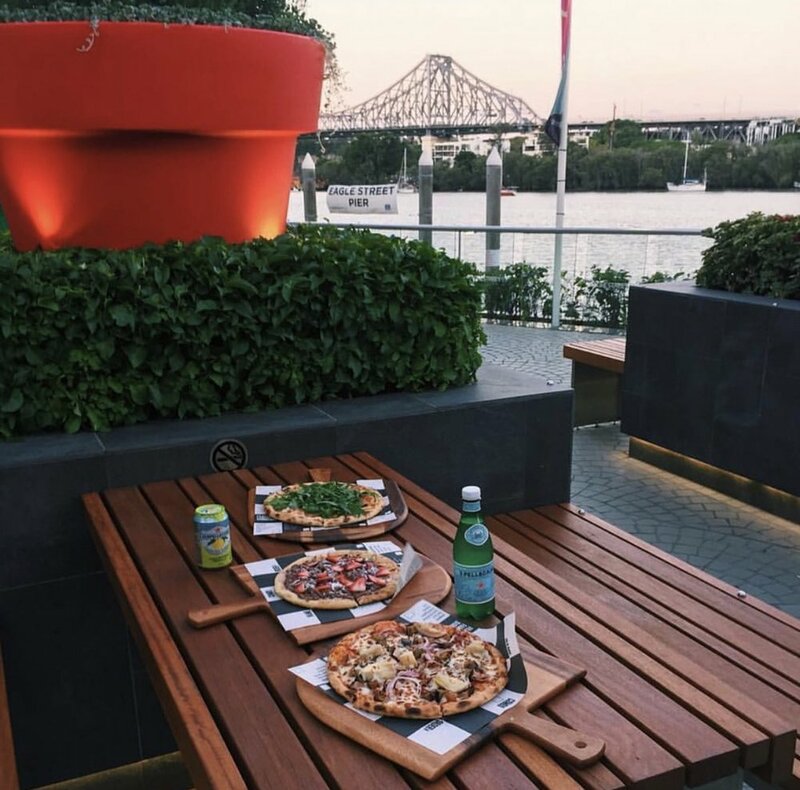 Settle in for spectacular views of the New Years Eve fireworks at Mr & Mrs G Riverbar with a selection of delicious bites available, such as; Beef & Pork Meatballs, Grilled Tiger Prawns, BBQ Sue Vie Pork Neck Sliders. Share Plates including; Crusty bread with hazelnut dukkah, some delicious dessert options, and not to mention an extensive drinks list. Bookings required. With two offerings available, celebrate 2018 in style aboard the Kookaburra Queen with a glass of sparkling upon arrival, a seasonal contemporary buffet including seafood, great entertainment throughout the evening and incredible views of the midnight fireworks for $195pp for adults and $150pp for kids (4-12 years). Or, aboard the brand new Voyager enjoy a New Year’s Eve Masquerade Ball including a glass of sparkling, 6 tokens for food stations, canapés & finger food throughout the evening as well as spectacular midnight firework views. Welcome in the New Year with one of the best views in Brisbane. George’s Paragon Seafood Restaurant offers the flexibility of two seatings, fabulous food, amazing service and unparalleled views. The first seating is 5-7.30pm with no minimum spend per person and the half price a la carte menu available. The second seating is from 8pm until late with a $120pp three course set menu available only. If you are looking for something more casual for New Year’s Eve, enjoy delicious eats from fast and casual eateries Fratelli Famous, Grill’d, Guzman Y Gomez, Nagomi, and The Coffee Club at Eagle Street Pier and still enjoy the 8.30pm and midnight firework shows. Plus you can park with ease this Festive Season at Wilson Parking at Eagle Street Pier. Enjoy a $25 parking special on Christmas Day and on all public holidays up to and including New Years Day. Also make use of a $20 weekday lunch time parking special, and an $18 weekend flat-rate, also available on weekdays when parking after 5pm. Discover more about Eagle Street Pier New Year celebrations here.